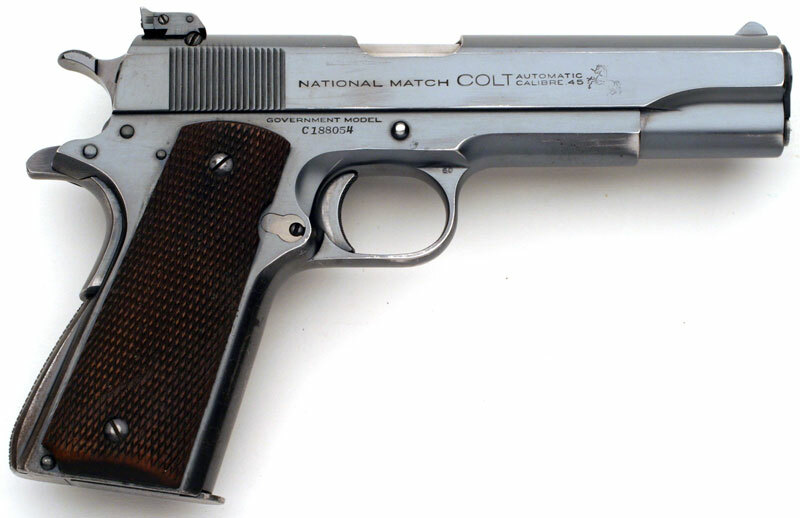 Colt National Match Serial Number C188054 without Swartz Safety and adjustable sights, blued finish and checkered walnut grips. Slide is numbered to the frame. 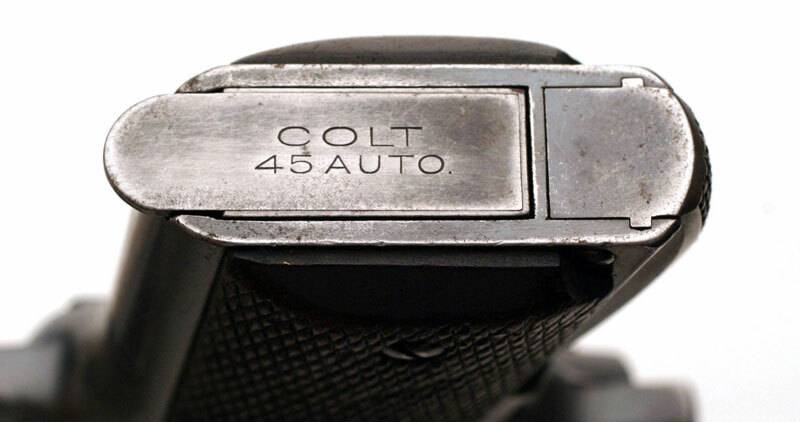 The Colt and .22-.45 Conversion Unit serial number U216 belonged to Colonel Tom Desmond, USA originally from Utica, NY. Col. Desmond was in Army intelligence. 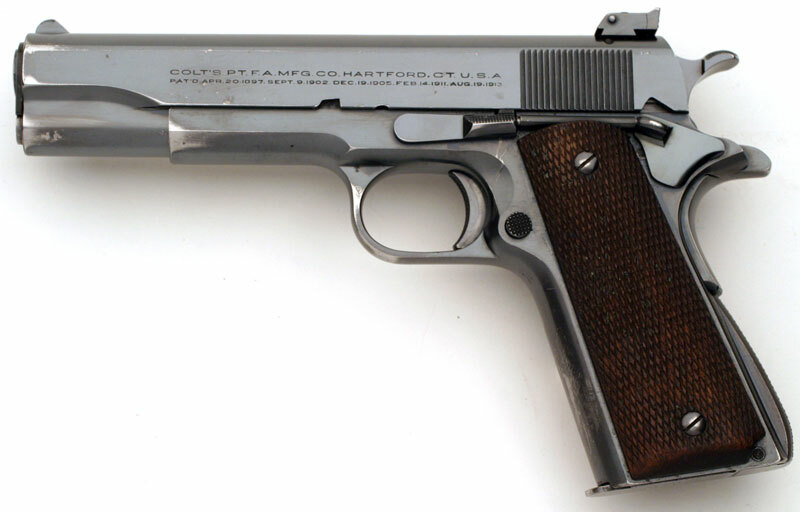 Pistol was shipped as a one gun shipment to H&D Folsom Arms Company, New York, New York on November 28, 1938. Letter notes special features: "Furnished with an adjustable rear sight." 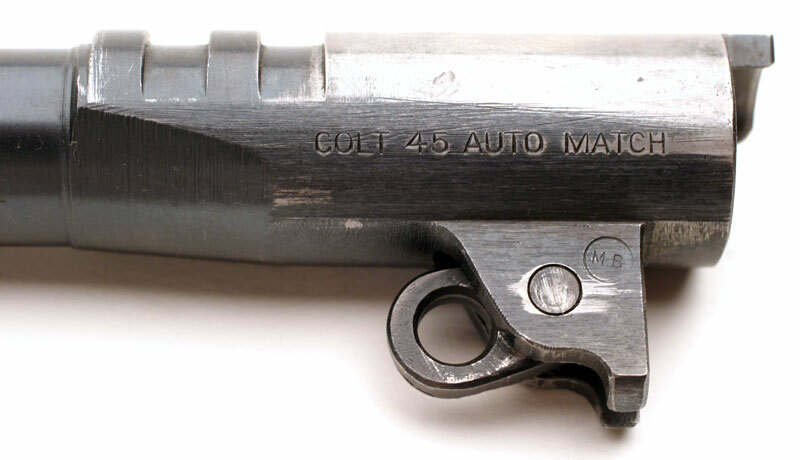 Colt National Match Serial Number C188054 left side. 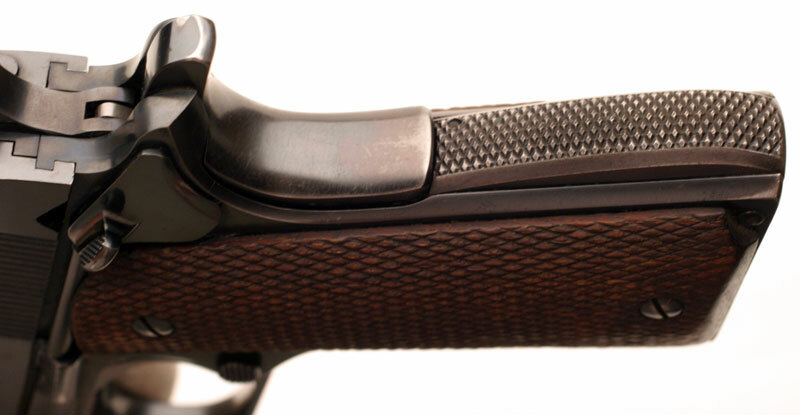 Serrated front sight that was a standard option with the Stevens rear sight. Disconnector and top of frame with "G" mark. 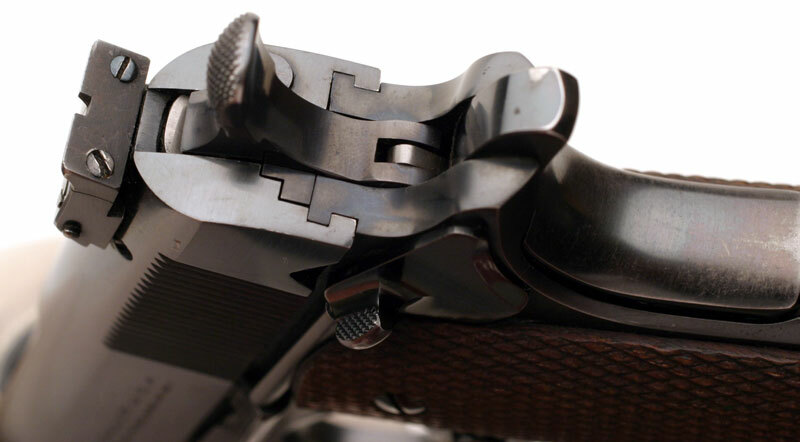 Match grade trigger, checkered with hand honed action. Rear view of Stevens sight, slide, hammer and grip safety. 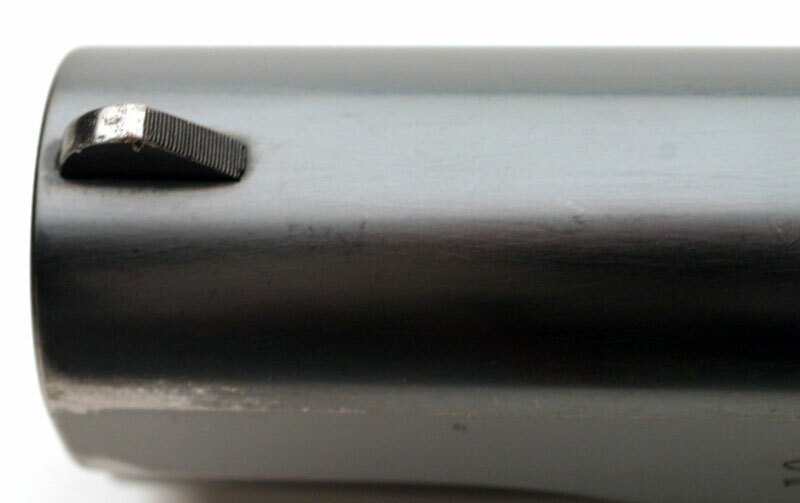 Grip safety and checkered mainspring housing.